Back in December, I shared my annual list of books about canning and preserving from the previous year. 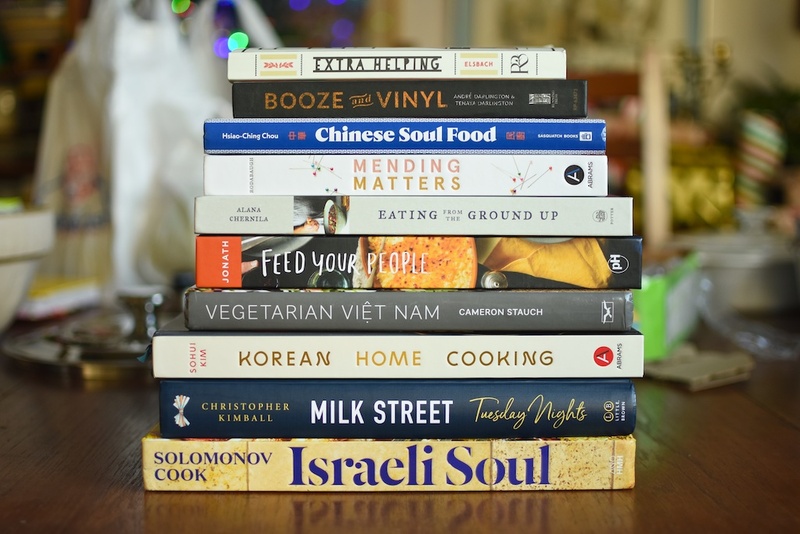 However, as I was going through my stacks of cookbooks, I realized that this year was an exceptional one for culinary publications and that I had a number of general interest volumes that I wanted to share. Proud to be on your nightstand and keeping such good company. Love that mending is cooking-adjacent. Cooking definitely feels mending-adjacent!